With the Obligation (Alphabet Club is contagious) of the Sugar Skulls Over I am now free to return to my WIPs list. 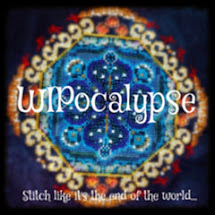 I have done so well with that this year, finishing more of the WIPocalypse list than ever before. Out of the remaining four projects, three are BAPs. I have done quite a bit on two of them (Gathering Honey and Little Snapdragon) already this year and very little on the other two. So this month I am focusing on the smallest WIP because I know I can get this one finished. The design is She Tends by Shepherd's Bush and there are four smaller designs which can be stitched individually or as one long piece. I have gone for individual. There are four charms specifically designed to go in the gaps but I haven't got them and doubt you can get them here. I do have some nice little flowers and can get some sheep so they will fit nicely. I got my rotation in a muddle last week. Because the First Saturday was the 1st I had it in my head that it was Hallowe'en stitching weekend and started Ghastly, Ghostly Ghouls by Just Nan. However, when I came to do my entry on the Friday Frolics blog I realised Friday 30th had actually been a Fifth Friday and I could have started another Teresa Wentzler Byzantine Ornament. Never mind, we'll have an extra Friday this month instead! 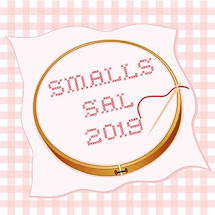 My evening stitching is a WIP I last worked on for the Longest Day SAL. I said at the time it wasn't appealing to me and it still isn't. So the plan is to finish this part and make it into a small. I loved the house but the rest of the colours are sludgy and dull. I also don't like the coverage on the 28 count evenweave. It's a lovely soft fabric but better suited for over one stitching I think. Those spooky charms will be going on my Enchanted Alphabet sampler, they are perfect! Doing the Stacy Nash (to the tune of the Monster Mash) leads me nicely onto the next topic - The Hallowe'en Trick or Treat Blog Hop! Yes, it is that time of year again, we are counting down to the Spookiest Hop on the Blog. All you have to do is leave a comment here saying you would like to take part. I will assign each person a letter of the alphabet. On 31st October you make a post featuring your letter and a stitched piece relating to Hallowe'en. The stitched piece does NOT have to begin with your letter. I will post the blogs in order and we hop around visiting them, collecting the letters which will spell out a Mystery Phrase. Return here and leave a comment with the Phrase to be in with a chance to win a prize! Finally, my niece and her fiance loved her Sugar Skulls when I gave them to her last week and they are gracing her fridge already. We had a lovely afternoon tea with her and the female members of both families, playing games such as "How Well Do You Know Helen?" and Consequences making stories about her and her soon-to-be husband. The official Hen Night will be Pub Golf with costumes. I'm quite glad to have gone to the afternon tea instead LOL. I would be delighted to participate in the Halloween hop again this year...now what to stitch? Love your Ghastly, Ghostly Ghouls! Both your Halloween pieces are great Jo. Love your birthday gifts. I'd like to participate in the Spookiest Hop! Nice WIPs and gifts. Just Nan really nails it with her Halloweeny designs! Lovely stitching! The new Just Nan is adorable! Glad your gifts were enjoyed and nice work on the others! What's Pub Golf? Please include me in the Spooky Blog hop! The SB patterns look so delicate, just lovely. GGG is off to a promising start - not a door I want to go through. And super additions to your stash - especially love the button soup! The Sheperds Bush is looking fabulous, such cute little sheepies. Love all your little projects on the go! And I love and adore those wicked charms. They will look great on the sampler. Cant wait to see that! Please count me in for the Halloween Blog Hop! 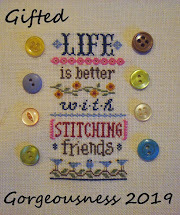 Count me in for the blog hop. 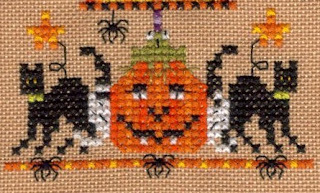 I just posted my Halloween-themed cross-stitching on my own blog (guess I should have visited you first) but I'm sure I can come up with something else for the 31st! I am getting my blog cranked back up. I would love to participate in the Halloween blog hop! Please count me in. :o) Thank you! 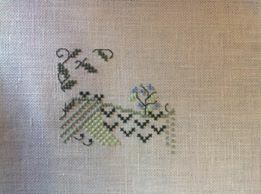 Lovely work on those Sheperd's Bush designs, they are so pretty and delicate. But I also hope that we will see the return of Gathering Honey or the Snapdragon soon! It's a shame you don't enjoy the Halloween Town SAL, I really liked stitching that one. But that's just what happens sometimes, you can't enjoy everything - which is a good thing really or we would have even less of a chance to ever get all our stitching done! I love the Ghastly Ghostly Ghouls - the ghoul is too cute to be scary! Gorgeous stitching as always. Please count me in for your blog hop. Please count me in on the blog hop. I just love these. Count me in on the blog hop!!! Love all your stitching!!!! so excited!!!! She Tends is so dainty, love the sheep, so cute! Lovely gifts! Oooh, I've been waiting for this, my first ever Halloween blog hop participation, please please count me in! 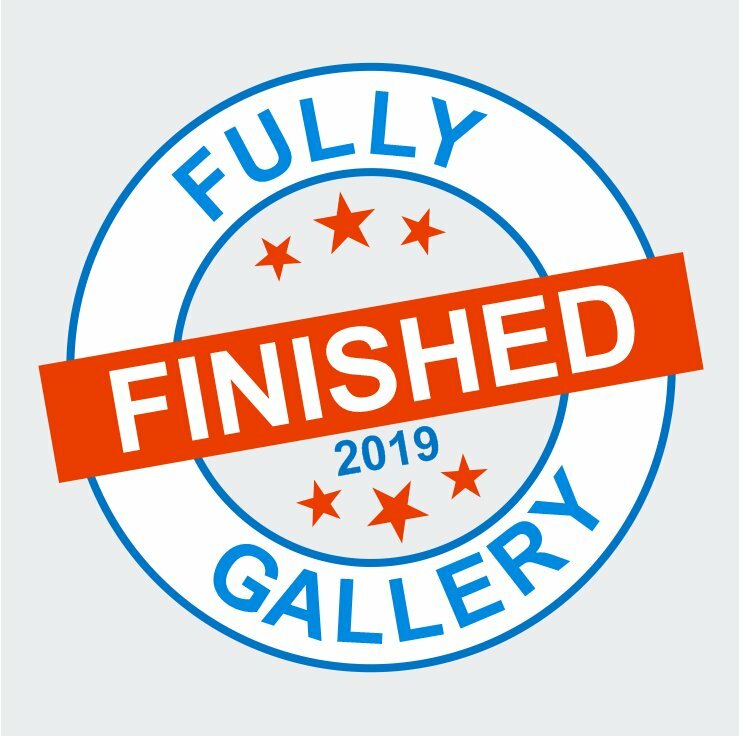 Wonderful progress on all your pieces. Great progress on your projects. Love the button jar Kerry made for you.Its nice to know that your gifts were appreciated. That's some nice progress on your smallest WIP. These designs are new to me but who knows all the SB designs except some special fans, lol. Looking forward to seeing more of these. Nice Halloween stitching, too. I think it's a good idea to just stitch the little house and its surroundings and then finish not, if you don't like the rest of the design. There are certainly so many Halloween designs that you would prefer stitching. Lovely gifties! Please count me in on the Halloween Blog Hop - It is my favorite of the year! You always get so much accomplished on your stitching. I love your gifts. Please count me in for the Halloween Blog Hop! Please include me in the Halloween blog hop. Thanks! (I commented on another post, but maybe that was not the right place). I enjoyed your birthday b;og hop so much that I'd like to try the Halloween Hop this year. I have a Brightneedle Ghost & Ghoulies project that would be perfect. Lovely progress :) I like the idea of turning that into a small.